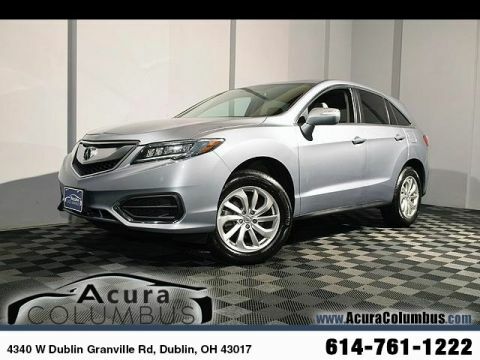 2016 Acura RDX Silver 20/29 City/Highway MPG Certified. Acura Certified Pre-Owned Details: * Limited Warranty: 12 Month/12,000 Mile (whichever comes first) after new car warranty expires or from certified purchase date * Roadside Assistance * Powertrain Limited Warranty: 84 Month/100,000 Mile (whichever comes first) from original in-service date * Vehicle History * 182 Point Inspection * Warranty Deductible: $0 * Includes Trip Interruption and Concierge Services * Transferable Warranty Odometer is 7033 miles below market average! 20/29 City/Highway MPG Reviews: * Strong acceleration and fuel economy from standard V6 engine; high-mounted rear seat provides generous legroom and a commanding view; more standard features than most competitors; price; generous cargo capacity for the segment. Source: Edmunds Awards: * 2016 KBB.com 10 Best Luxury Cars Under $35,000 * 2016 KBB.com 5-Year Cost to Own Awards 2016 Kelley Blue Book Brand Image Awards are based on the Brand Watch(tm) study from Kelley Blue Book Market Intelligence. Award calculated among non-luxury shoppers. For more information, visit www.kbb.com. Kelley Blue Book is a registered trademark of Kelley Blue Book Co., Inc. KBB Fair Market Range Low: $23,903 KBB Fair Market Range High: $26,510 Celebrating 30 Years as Ohio's First Acura Dealer! 614-761-1222 Proudly Serving: Dublin, Columbus, Westerville, Chillicothe, Dayton, Xenia, Springfield, Wilmington, Beavercreek, Marysville, Cincinnati, Cleveland, Lancaster, West Jefferson, Grove City, and all of greater Ohio. 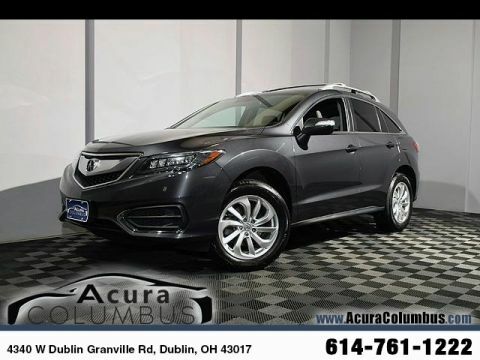 2016 Acura RDX SH-AWD Gray 19/28 City/Highway MPG Certified. Acura Certified Pre-Owned Details: * Limited Warranty: 12 Month/12,000 Mile (whichever comes first) after new car warranty expires or from certified purchase date * Powertrain Limited Warranty: 84 Month/100,000 Mile (whichever comes first) from original in-service date * Roadside Assistance * Vehicle History * 182 Point Inspection * Warranty Deductible: $0 * Transferable Warranty * Includes Trip Interruption and Concierge Services AWD. Odometer is 4406 miles below market average! 19/28 City/Highway MPG Reviews: * Strong acceleration and fuel economy from standard V6 engine; high-mounted rear seat provides generous legroom and a commanding view; more standard features than most competitors; price; generous cargo capacity for the segment. Source: Edmunds Awards: * 2016 KBB.com 10 Best Luxury Cars Under $35,000 * 2016 KBB.com 5-Year Cost to Own Awards 2016 Kelley Blue Book Brand Image Awards are based on the Brand Watch(tm) study from Kelley Blue Book Market Intelligence. Award calculated among non-luxury shoppers. For more information, visit www.kbb.com. Kelley Blue Book is a registered trademark of Kelley Blue Book Co., Inc. KBB Fair Market Range Low: $24,845 KBB Fair Market Range High: $27,452 Celebrating 30 Years as Ohio's First Acura Dealer! 614-761-1222 Proudly Serving: Dublin, Columbus, Westerville, Chillicothe, Dayton, Xenia, Springfield, Wilmington, Beavercreek, Marysville, Cincinnati, Cleveland, Lancaster, West Jefferson, Grove City, and all of greater Ohio. 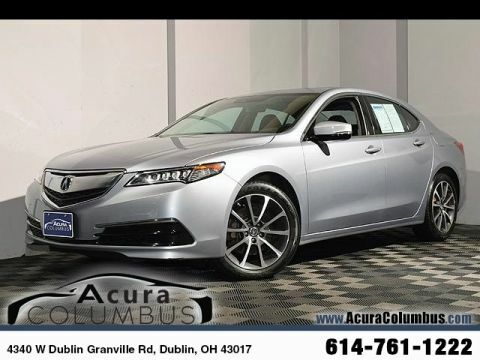 2017 Acura TLX 3.5L V6 w/Technology Package Modern Steel Metallic 21/34 City/Highway MPG 21/34 City/Highway MPG Reviews: * Quiet cabin at highway speeds; rear seat legroom is generous; ample trunk space and in-cabin storage for small items; typically priced less than German competitors. Source: Edmunds Awards: * 2017 KBB.com 5-Year Cost to Own Awards 2016 Kelley Blue Book Brand Image Awards are based on the Brand Watch(tm) study from Kelley Blue Book Market Intelligence. Award calculated among non-luxury shoppers. For more information, visit www.kbb.com. Kelley Blue Book is a registered trademark of Kelley Blue Book Co., Inc. KBB Fair Market Range Low: $22,903 KBB Fair Market Range High: $27,270 Celebrating 30 Years as Ohio's First Acura Dealer! 614-761-1222 Proudly Serving: Dublin, Columbus, Westerville, Chillicothe, Dayton, Xenia, Springfield, Wilmington, Beavercreek, Marysville, Cincinnati, Cleveland, Lancaster, West Jefferson, Grove City, and all of greater Ohio. 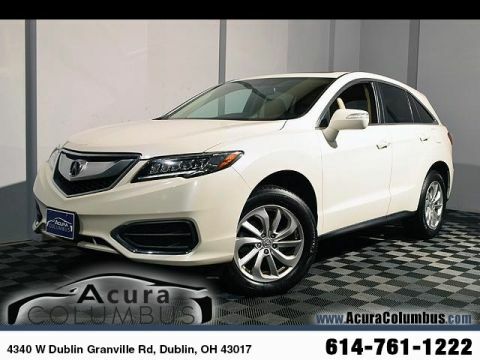 2016 Acura RDX AWD w/Technology Package White 19/28 City/Highway MPG Certified. Acura Certified Pre-Owned Details: * Includes Trip Interruption and Concierge Services * Vehicle History * Limited Warranty: 12 Month/12,000 Mile (whichever comes first) after new car warranty expires or from certified purchase date * Powertrain Limited Warranty: 84 Month/100,000 Mile (whichever comes first) from original in-service date * Roadside Assistance * Warranty Deductible: $0 * Transferable Warranty * 182 Point Inspection AWD. 19/28 City/Highway MPG Reviews: * Strong acceleration and fuel economy from standard V6 engine; high-mounted rear seat provides generous legroom and a commanding view; more standard features than most competitors; price; generous cargo capacity for the segment. Source: Edmunds Awards: * 2016 KBB.com 10 Best Luxury Cars Under $35,000 * 2016 KBB.com 5-Year Cost to Own Awards 2016 Kelley Blue Book Brand Image Awards are based on the Brand Watch(tm) study from Kelley Blue Book Market Intelligence. Award calculated among non-luxury shoppers. For more information, visit www.kbb.com. Kelley Blue Book is a registered trademark of Kelley Blue Book Co., Inc. KBB Fair Market Range Low: $24,431 KBB Fair Market Range High: $27,034 Celebrating 30 Years as Ohio's First Acura Dealer! 614-761-1222 Proudly Serving: Dublin, Columbus, Westerville, Chillicothe, Dayton, Xenia, Springfield, Wilmington, Beavercreek, Marysville, Cincinnati, Cleveland, Lancaster, West Jefferson, Grove City, and all of greater Ohio. 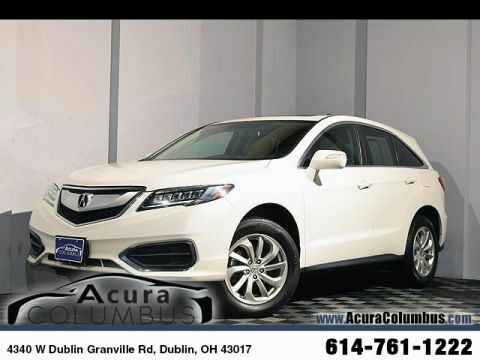 2016 Acura RDX AWD w/Technology Package White Diamond Pearl 19/28 City/Highway MPG Certified. Acura Certified Pre-Owned Details: * Includes Trip Interruption and Concierge Services * 182 Point Inspection * Warranty Deductible: $0 * Limited Warranty: 12 Month/12,000 Mile (whichever comes first) after new car warranty expires or from certified purchase date * Powertrain Limited Warranty: 84 Month/100,000 Mile (whichever comes first) from original in-service date * Vehicle History * Roadside Assistance * Transferable Warranty AWD. Odometer is 2443 miles below market average! 19/28 City/Highway MPG Reviews: * Strong acceleration and fuel economy from standard V6 engine; high-mounted rear seat provides generous legroom and a commanding view; more standard features than most competitors; price; generous cargo capacity for the segment. Source: Edmunds Awards: * 2016 KBB.com 10 Best Luxury Cars Under $35,000 * 2016 KBB.com 5-Year Cost to Own Awards 2016 Kelley Blue Book Brand Image Awards are based on the Brand Watch(tm) study from Kelley Blue Book Market Intelligence. Award calculated among non-luxury shoppers. For more information, visit www.kbb.com. Kelley Blue Book is a registered trademark of Kelley Blue Book Co., Inc. KBB Fair Market Range Low: $24,691 KBB Fair Market Range High: $27,294 Celebrating 30 Years as Ohio's First Acura Dealer! 614-761-1222 Proudly Serving: Dublin, Columbus, Westerville, Chillicothe, Dayton, Xenia, Springfield, Wilmington, Beavercreek, Marysville, Cincinnati, Cleveland, Lancaster, West Jefferson, Grove City, and all of greater Ohio. 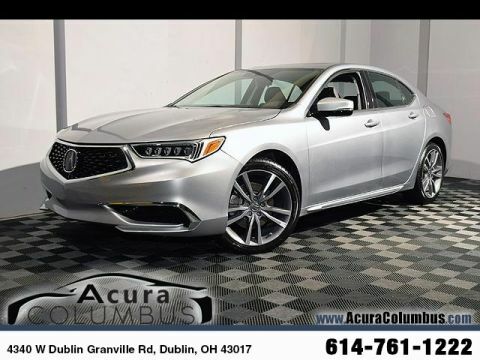 2019 Acura TLX 3.5L Technology Pkg Silver 20/31 City/Highway MPG Certified. Acura Certified Pre-Owned Details: * 182 Point Inspection * Warranty Deductible: $0 * Powertrain Limited Warranty: 84 Month/100,000 Mile (whichever comes first) from original in-service date * Transferable Warranty * Limited Warranty: 12 Month/12,000 Mile (whichever comes first) after new car warranty expires or from certified purchase date * Roadside Assistance * Vehicle History * Includes Trip Interruption and Concierge Services Odometer is 2849 miles below market average! 20/31 City/Highway MPG Celebrating 30 Years as Ohio's First Acura Dealer! 614-761-1222 Proudly Serving: Dublin, Columbus, Westerville, Chillicothe, Dayton, Xenia, Springfield, Wilmington, Beavercreek, Marysville, Cincinnati, Cleveland, Lancaster, West Jefferson, Grove City, and all of greater Ohio. 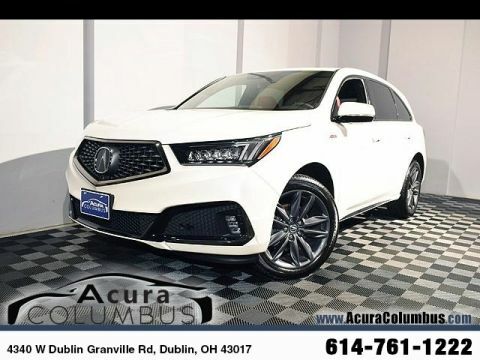 2019 Acura MDX 3.5L Technology Pkg w/A-Spec Pkg SH-AWD White Diamond Pearl 19/25 City/Highway MPG Certified. Acura Certified Pre-Owned Details: * Includes Trip Interruption and Concierge Services * Transferable Warranty * 182 Point Inspection * Vehicle History * Powertrain Limited Warranty: 84 Month/100,000 Mile (whichever comes first) from original in-service date * Limited Warranty: 12 Month/12,000 Mile (whichever comes first) after new car warranty expires or from certified purchase date * Warranty Deductible: $0 * Roadside Assistance Red w/Perforated Milano Leather & Alcantara. Celebrating 30 Years as Ohio's First Acura Dealer! 614-761-1222 Proudly Serving: Dublin, Columbus, Westerville, Chillicothe, Dayton, Xenia, Springfield, Wilmington, Beavercreek, Marysville, Cincinnati, Cleveland, Lancaster, West Jefferson, Grove City, and all of greater Ohio. 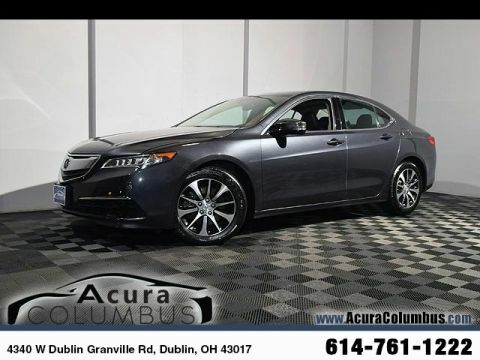 At our Dublin Acura dealership, we know that affordability is a big factor for many, and that’s why we have you covered with many different used cars from automakers of all brands. 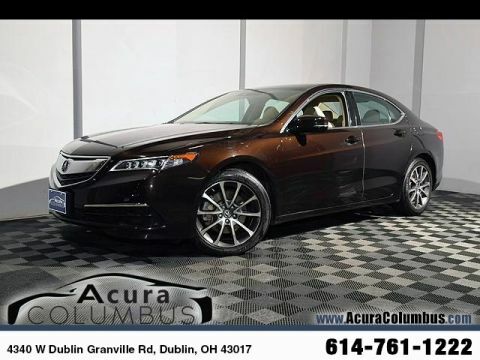 Drivers in the Dublin area now have a one-stop shop destination for best lineup of large and compact SUVs, used sleek sedans, and powerful used trucks in the middle of Ohio. 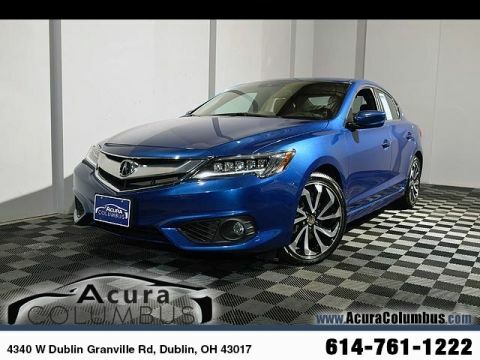 We also offer a variety of quality used cars under $10,000 that are perfect for those who aren’t looking to break the bank for a newer, high quality vehicle. Our certified pre-owned selection is a great option, as each vehicle receives a rigorous 300 point inspection before being displayed on our lot, guaranteeing the kind of quality and superiority you expect. 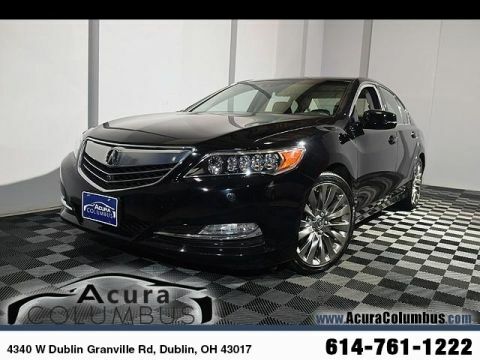 We offer customers a large selection of certified pre-owned popular models from Acura. Acura was recognized in Autotrader’s 10-Best Luxury Certified Pre-Owned Programs for 2018, due to its 7-year/100,000 mile coverage, its additional 1-year/12,000 mile bumper-to-bumper coverage, and for its transferability to future owners, and lack of deductible. Some favorite picks at our dealer include the always reliable Acura MDX, RDX, and TLX, which were named a “Best Buy” by Consumer Guide Automotive. 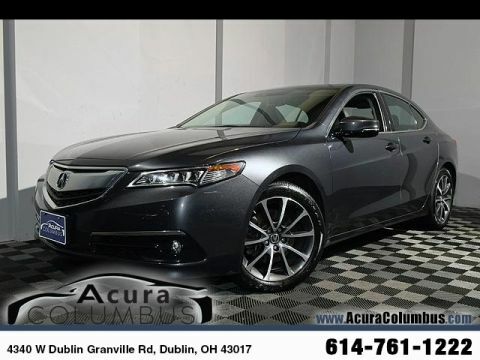 If you’re browsing for a pre-owned vehicle on a tight budget, don’t forget to check out our pre-owned Acura specials for Dublin customers! We have a range of great deals available to savvy shoppers, which is one more thing that makes our dealership a great choice if you’re looking for a huge selection of used models at a fantastic price. We want to help you get behind the wheel of the car of your dreams! 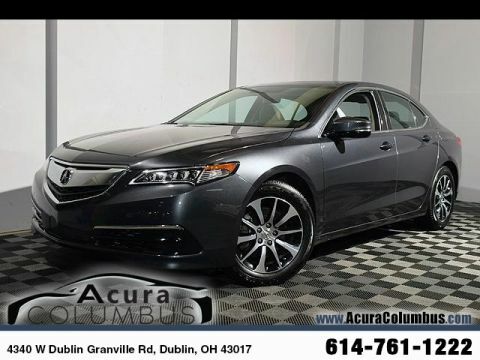 For more information on the certified pre-owned Acura models available at our Acura dealership, contact us at Acura Columbus today! Located in Dublin, we also proudly serve Columbus and Hilliard.